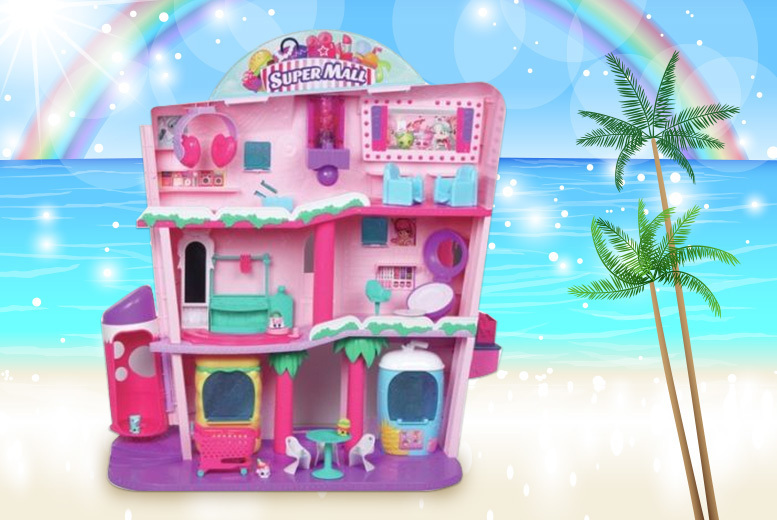 Get a Shopkins Shoppies super mall playset. With a range of interactive features designed to inspire their playtime! Includes three shopping levels with a lift, food court and mini cinema! With four exclusive Shopkins characters and accessories! Size: H 60 cm x W 60 cm x D 15 cm.